This upgrade consists in replacing the feeding belt in LWP machines by an Intralox® belt. 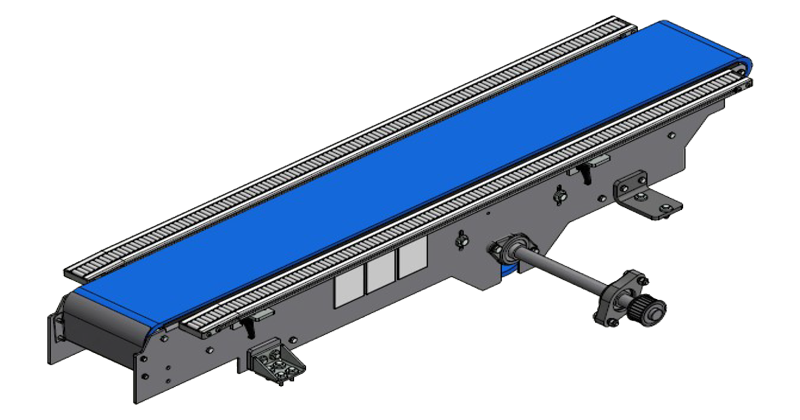 In the original system, the cardboard feeding belt consisted in a 2-ply conveyor belt driven by rubber rollers: due to the position and to the risk of obstacles or residual glue, we decided to upgrade the LWP series, by adopting the same model as in WP machines. The difference mainly concerns the drive transmission (ensured by pinions) and the rubber chain instead of a belt.